Posted on 8, April 2016 by EuropaWire PR Editors | This entry was posted in Automotive, Environment, Germany, Transportation & Logistics and tagged BeeZero, car sharing service, hydrogen-powered fuel-cell cars, Ilse Aigner, The Linde Group. Bookmark the permalink. MUNICH, 08-Apr-2016 — /EuropaWire/ — Today, the technology company The Linde Group took another important step on the road to zero-emissions hydrogen (H2) mobility. 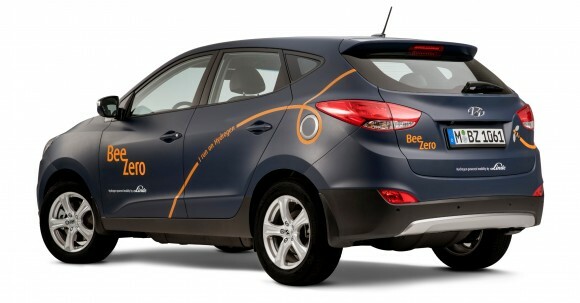 Under the BeeZero brand name the Group’s newly founded subsidiary, Linde Hydrogen Concepts, launched the world’s first car sharing service to exclusively use hydrogen-powered fuel-cell cars. Dr Christian Bruch, member of the Executive Board of Linde AG, symbolically unveiled the first BeeZero car in front of an invited audience in Munich today.